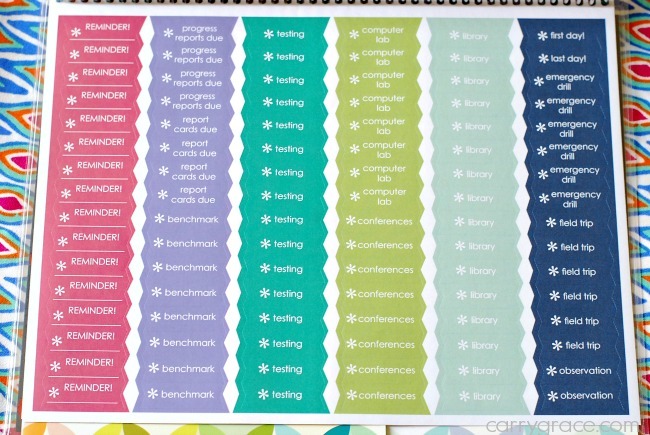 Have you seen the new Erin Condren Teacher Planners yet? I am really excited about all of the changes they made. 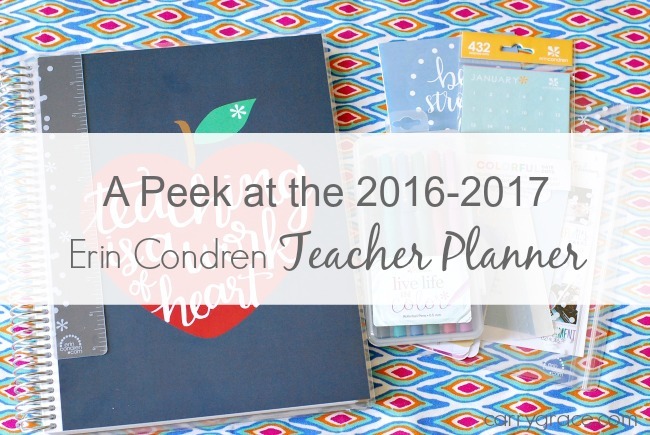 This is my third year ordering an Erin Condren Teacher Planner and I was just as excited this time as I was when I ordered the first one. 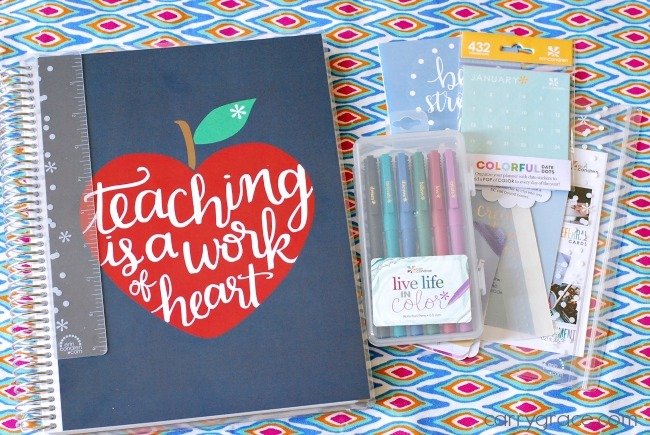 I don't normally like things that look like they are specifically for teachers, but I really liked the Good-To-Go cover this year. I didn't think I would ever not get a paisley cover; but it happened. The back cover is my favorite part.The heart/apples are so cute mixed with the white font. 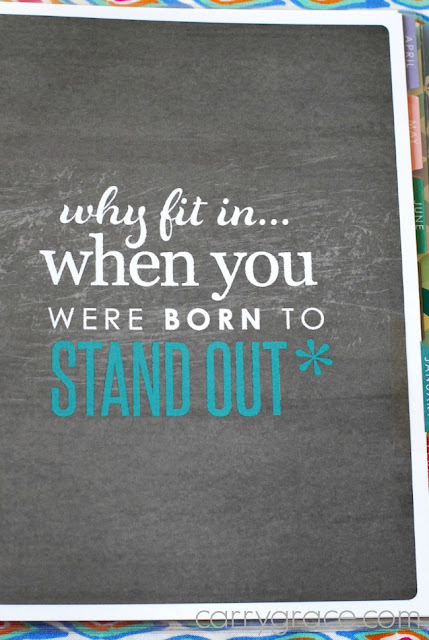 Erin Condren is a pro at mixing colors and patterns. Since I was already ordering the planner I went ahead and ordered the new pens. 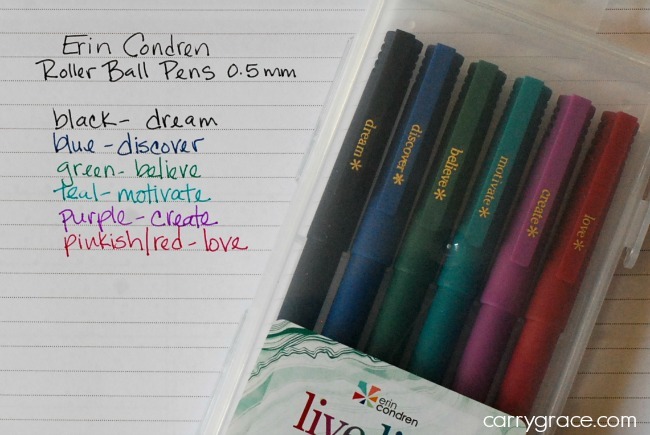 I will go ahead and tell you that they are not my favorite pens to write with, but they are beautiful. Here is a break down of all the changes I noticed as I went through the planner. 1. The inside of the covers now have white space for list making and notes with a dry erase marker. 2. 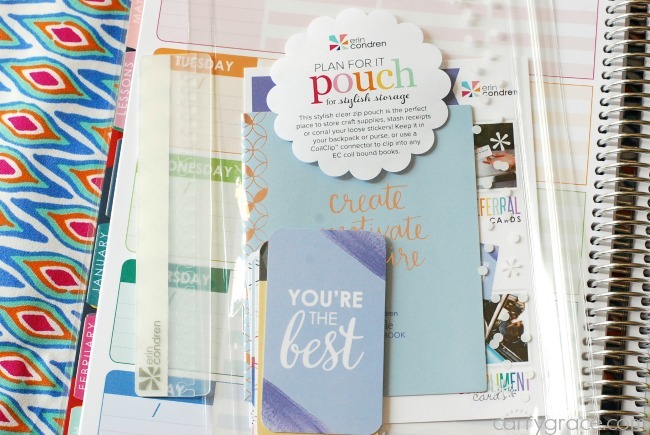 The clear pouch is no longer coiled into the back of the planner. 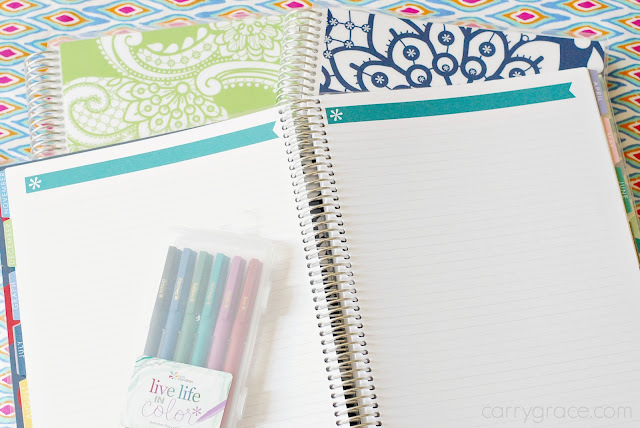 It is separate and comes with coil clips so that you can put it where you want in the planner or use is separately. It also includes inspiration cards and a new sticker sampler. The new stickers are adorable! 3. The color scheme has been updated to jewel toned colors. 4. 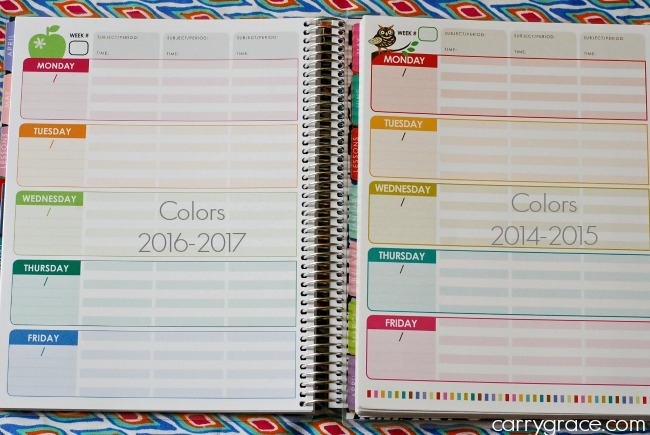 There are 3 lined notes pages in each month instead of just 1. 6. All of the monthly tab pages have been updated with new graphics and quotes. 7. The keep it together folder in the back has been redesigned. The front is still similar to the previous style, but the back side of the folder has this style of pocket. 9. The stickers have been updated to include the new flag style as well as the original rounded rectangles. Which update are you the most excited about? I wasn't sure that I liked the dry erase covers to begin with, but now I think it is my favorite change. I think that about covers it! 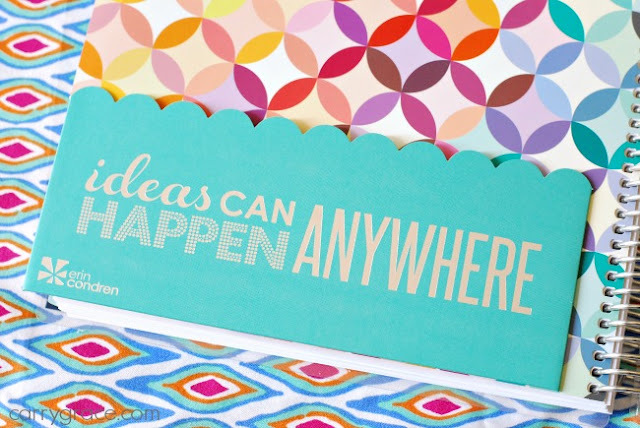 You can see my peek at the Erin Condren Teacher Planner on my YouTube Channel. I give a peek on my YouTube channel if you want to see it a little closer. 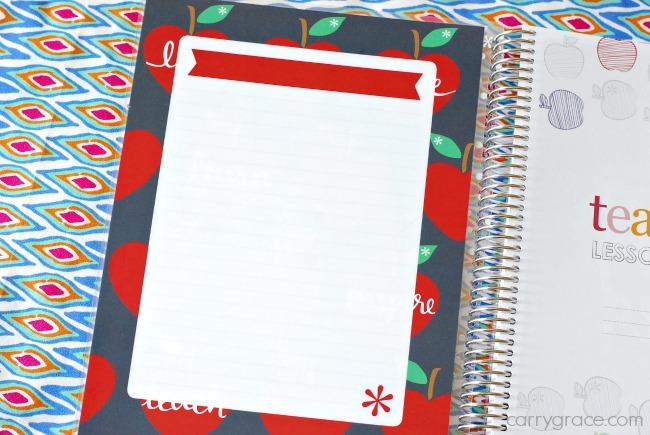 Last year I shared how I personalized a lot of the pages to make them more homeschool user friendly. You can check that out here on the blog and in this video. This is not a sponsored post, but I do have a referral link to share with you if you would like to place your very first order. Use my referral link to receive $10 off of your first purchase. I will also receive a credit that I can use on my next purchase. 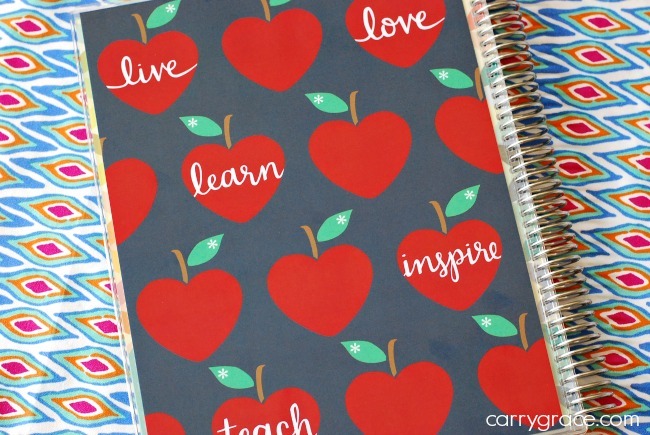 Are you already gearing up to start planning for next year? 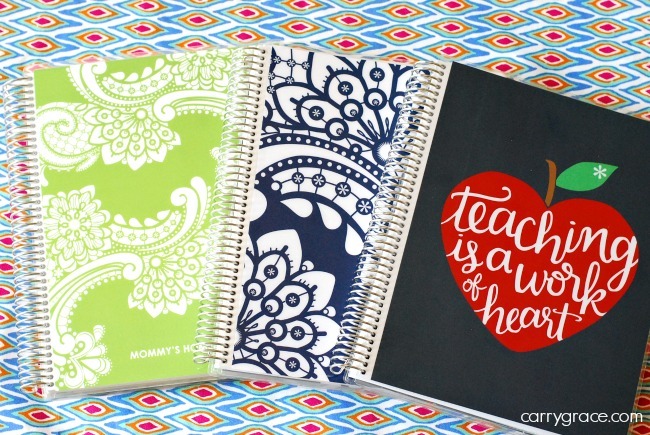 If so, what planner are you going to use? Hi, Nikki! I've enjoyed watching your planner videos. Let me ask you a question. Is there a way to use the lesson planner for homeschooling, day to day, and blogging all in one? 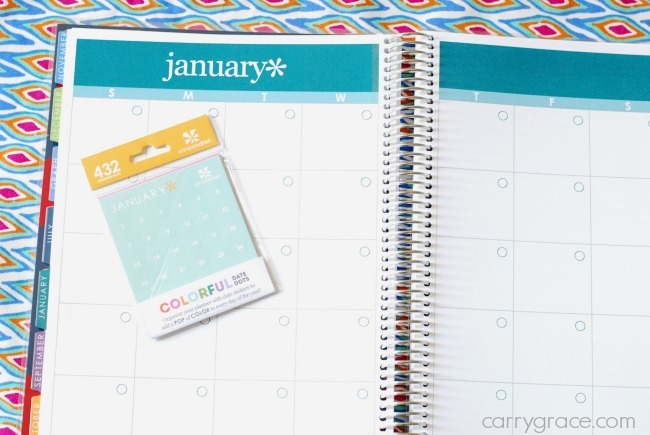 I'd love to keep things simple and use one planner for all. Is this completely unrealistic? 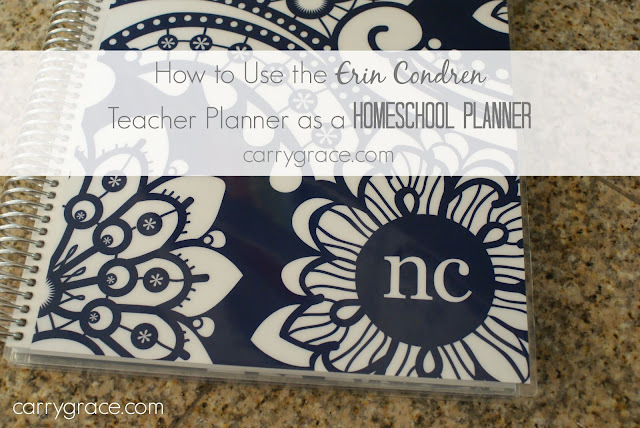 I currently use the EC Life Planner for day to day and blogging, but I'd love to have a way to use the same planner for homeschooling too. Thoughts? It will really come down to how much room you need. There a couple of ways you could go about it. 1. Under the day of the week on each weekly page there are a few blank lines. You could use that spot for blog posts. 2. You could combine a few subjects into one subject column to free up one column specifically for blog posts/tasks. This year I combined writing/spelling to give myself a separate to-do list column for specific tasks I needed to remember to do each day. Thank you for asking this! I have been asked this a few times and had a hard time wrapping my mind around it bc I prefer to use separate planners for different areas. 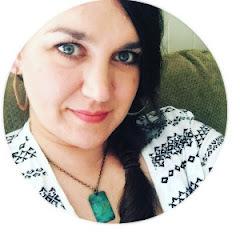 Because there seems to be interest in using one planner for everything, including homeschooling, I think I will put together a YouTube video to share a few different ways to make it work. Thank you for the inspiration.